OMG, this is the most amazing cake!! 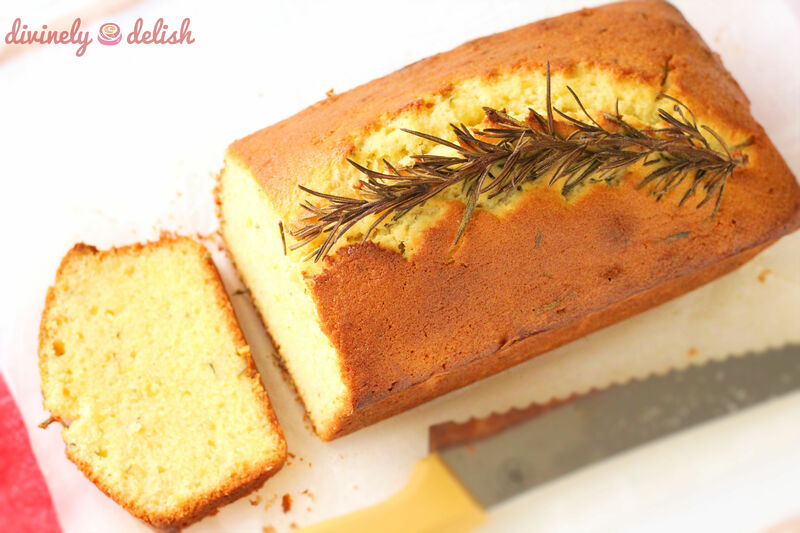 I love the combination of lemon and rosemary. 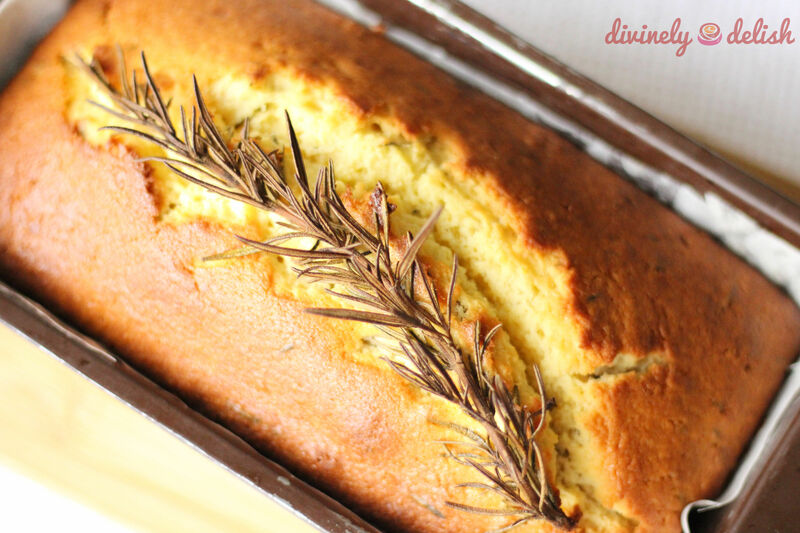 A little while ago, I wouldn’t even have thought of using rosemary to make anything sweet. But I got the idea to try something new after I had a very tasty rosemary muffin at an event that I attended. I then remembered that my mum had given me a bunch of fresh rosemary from her garden quite some time ago. I’ve never used much rosemary in my cooking so, not knowing what to do with it just yet, I stuck it in the freezer and pretty much forgot about it! So finally, I decided it was high time to use the rosemary. First I used a sprig to make a wonderfully aromatic tea. Did you know rosemary tea has a host of health benefits? Check out this list! The herbal tea was soothing and calming, but I needed something more! 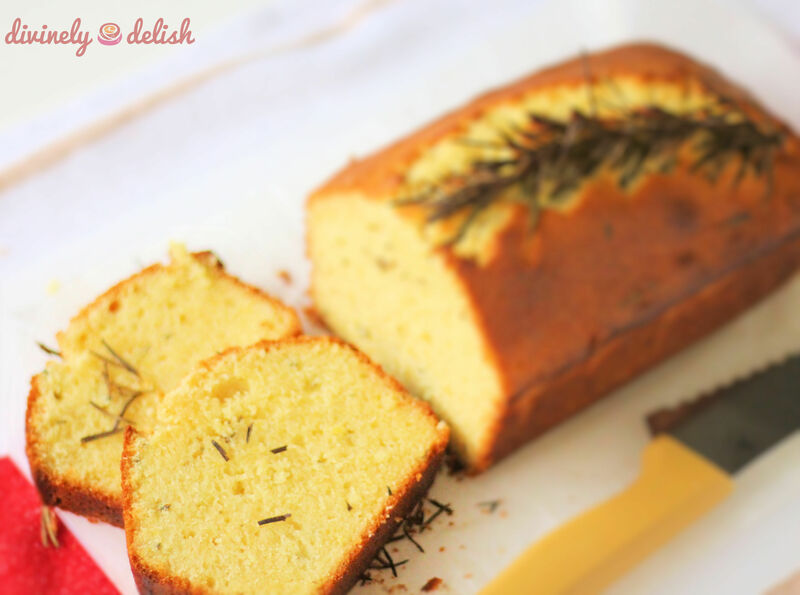 I had been thinking of whipping up a quick and easy pound cake, which I hadn’t made in a long time. I was dying to sink my teeth into some dense, moist and rich cake. Sometimes you just miss the simple comfort foods! I’ve never been so excited over a loaf cake! It turned out perfectly. 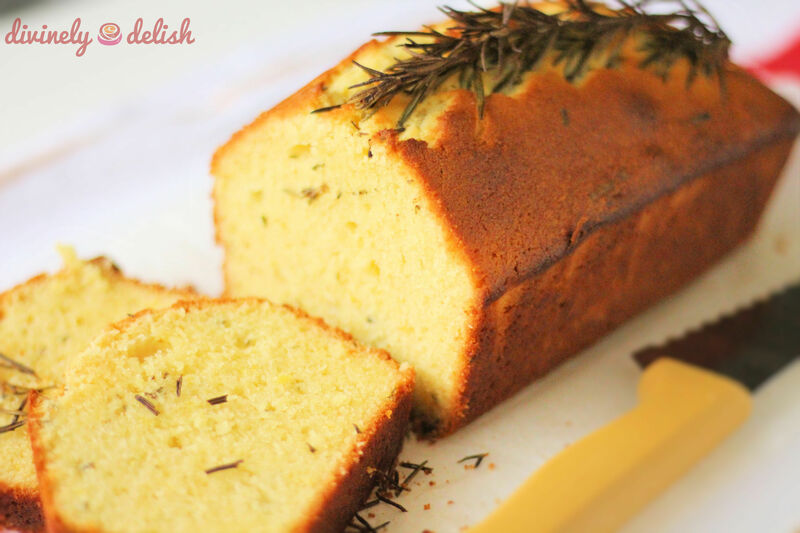 The marriage of lemon and rosemary gives the cake a piney, yet refreshing blend of flavours that is out of this world! It was absolutely delicious, even using previously frozen rosemary. I’d even suggest that you can increase the rosemary from 2 to 3 sprigs, if you want a stronger rosemary taste. The colour of the thawed leaves is obviously not so visually appealing, as you can see from the picture above, but taste-wise it was still great. Besides, it doesn’t really matter once you’ve baked it. 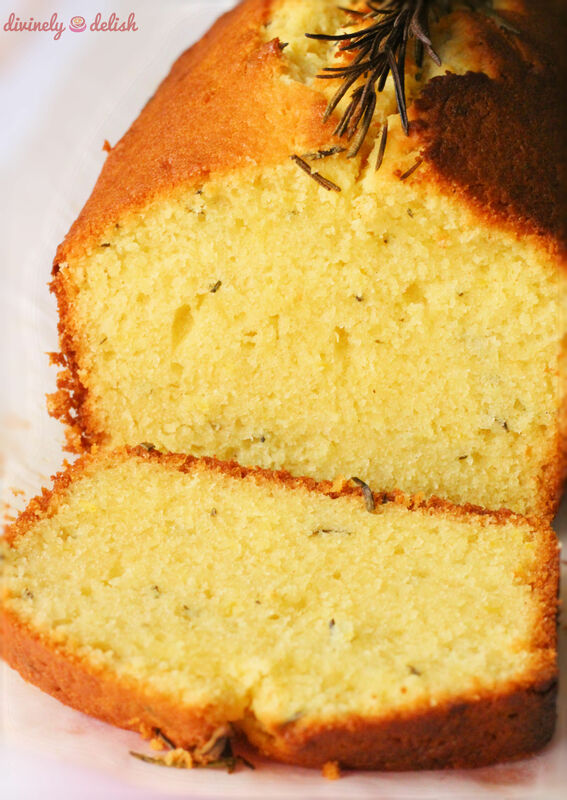 However, once I use up the remainder of my frozen stash, I’ll start making this cake with fresh rosemary. I love how the sprig of rosemary on top of the loaf crisps up after baking, and you can enjoy these crunchy little bits of rosemary with each slice. 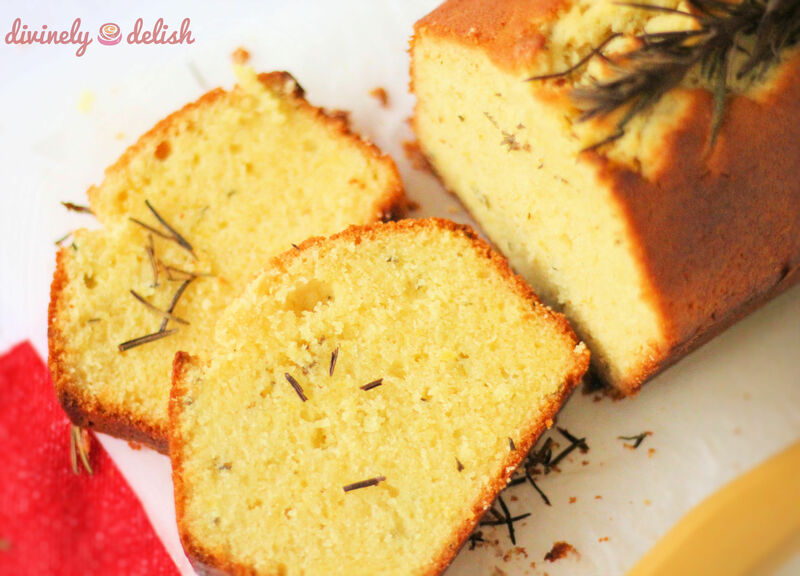 I based this recipe on a simple pound cake recipe I’ve used for years, and adjusted the ingredients and amounts to ensure a superbly moist and buttery loaf! The cake can be stored in an airtight container at room temperature for a couple of days, or longer in the fridge. You can be sure that it’ll remain moist! 1) Preheat oven to 375F (190C). Grease and flour a 8″ x 4″ x 2.5″ (20 x 10 x 6 cm) loaf pan. 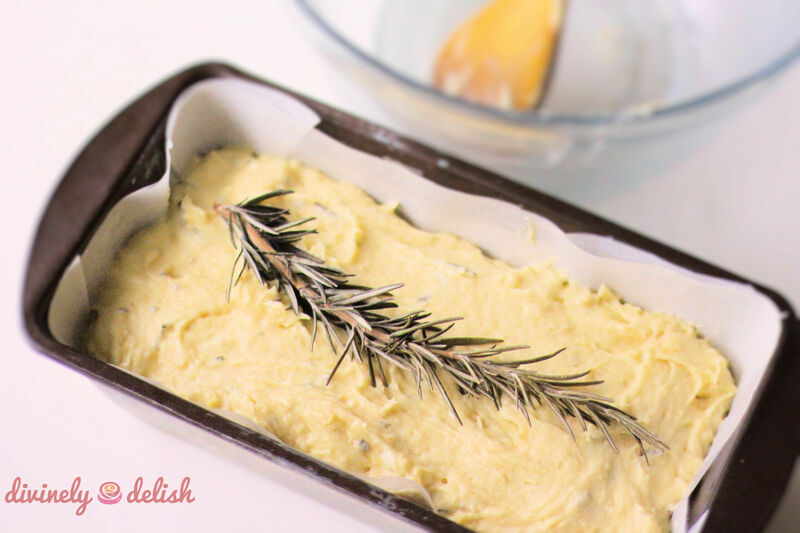 Alternatively, line a loaf pan with parchment paper. 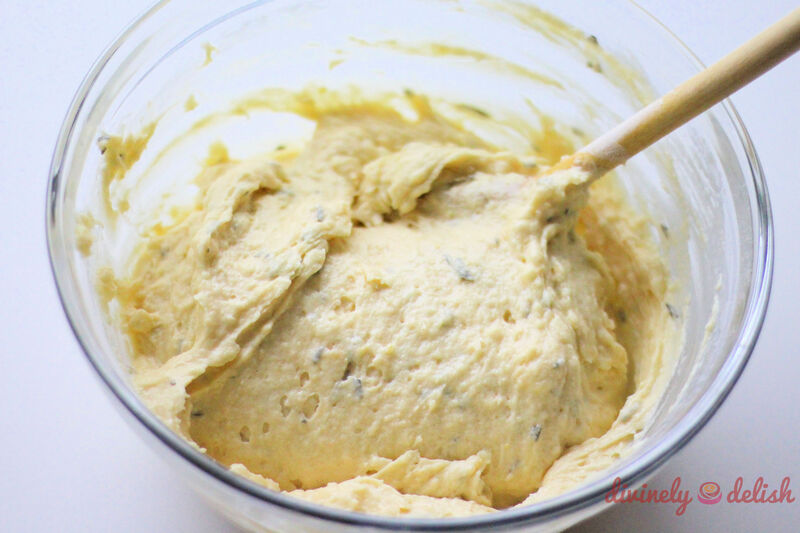 2) Using a rolling pin or a mortar and pestle, bruise the rosemary leaves and then roughly chop them up. Set aside. 3) Sift flour, salt and baking powder together into a bowl and set aside. 4) In another (large) bowl, cream the butter, sugar, lemon rind and vanilla extract until light and fluffy. 5) Add in eggs one at a time, beating well after each addition. 6) Add in half the flour mixture and half the liquids (milk and lemon juice). Stir to combine, then add in the remaining flour mixture and liquids. 7) Add in the chopped rosemary leaves. Beat until well combined. 8) Pour batter into prepared pan. Use a spatula to level the surface. Place a sprig of rosemary on top. 9) Bake for 50-60 minutes (if necessary, turn pan around after 25-30 minutes to ensure even baking), or until the crust is golden brown and a wooden skewer inserted into the middle comes out clean. Yum! Will let you know when I’ve made this! Can’t wait 🙂 Thanks for the recipe!